Our objectives for this post are brief. We’ll start by laying down A.J. Ayer’s goal to ‘eliminate’ metaphysics and what he meant by the term. Then we’ll look at one of Carl Hempel’s arguments that takes into account the “isolated sentences” that proved to be damaging to the stridency of logical positivism’s requirements. This was a philosophic attempt to give verifiable room to a wide array of scientific theories. Then, we’ll turn to W.V.O. Quine who transitioned from Hempel’s position into his own attack on two widely held dogmas of empiricism. Quine will offer substantial criticisms about empirical orthodoxy that thereby allow for more leniencies in the way we regard positivism and empiricism itself. Lastly, we’ll examine a notion of truth, suggested by Quine, that Ayer may have disqualified as metaphysical and so on. Ayer makes no bones about his positivist project from the onset. One needs only to consider the title of the first chapter of Language, Truth and Logic, “The Elimination of Metaphysics” to know where he’s coming from. But we must be sure to recognize that Ayer’s conditions are about language, henceforth he wishes to account for any metaphysical statement to be nonsense. As Ayer puts it “…it must follow that the labors of those who have striven to describe such a [metaphysical] reality have all been devoted to the production of nonsense” (34). What he is excluding as metaphysical basically has to do with any sentence that is not logically sound and cannot be verified by empirical evidence. Essentially Ayer wishes to conditionally discard any sentence that “…transcends the limits of all possible sense experience…” as metaphysical. On the surface this sounds easy enough to get to work on, eliminating unscientific speculative statements and nonsensical sentences in the name of doing better science, but as we’ll see, this motive is replete with irregularity from the beginning. 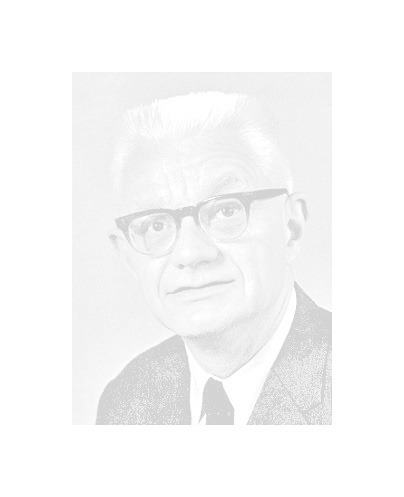 In the 1950s Hempel got to work analyzing empiricism’s criteria of cognitive significance from multiple angles. In his paper “Empiricist Criteria of Cognitive Significance: Problems and Changes” he demonstrated problematic issues with the specific restrictions and some of the unanticipated laxity of empiricism’s fundamental tenets. For instance, when speaking of a scientific theory a scientist would have to include what Hempel calls “primitive sentences and statements” such as “’angle’,’ triangle’, ‘length’ (674). These primitive statements are usually not defined outright when a scientist develops a theory—that is, when his theory is “axiomatized”(674). These primitive statements are positioned in a given theory that must be proven by empirical evidence, such things as measurement and the like. By the nature of applying such abstractions on to the real empirical world, we end up with considerable wiggle room by which to calculate errors in a given theory, thereby the possibility of including imprecision in the minutest detail. Suddenly there’s too much that’s undefined and has to get cut out because it’s simply not absolutely observable. Something like Newton’s law of gravitation would have to be dismissed as too liberal in its allowance of theoretical sentences (Hempel 675). Then Hempel continues to show that “…theory and concept formation go hand and hand; neither can be carried on in isolation from the other” (696). Basically the theory has to contain statements that are not entirely observable. It is because this that before long, in our scientific theories, we start permitting “isolated sentences” (Hempel 676). These peculiar sentences are linked to the primitive sentences and can be deemed too metaphysical under certain empirical standards. So when Hempel applies a logical structure to this, he reveals that if we disallow any primitive statements that are also isolated and ‘partially interpreted’ we’ll have to get too strict with our science. It is because of these isolated sentences Hempel suggests that scientific work including such things within its general laws will “…have to rise above the level of direct observation” (678). These examples are ways in which Hempel regards the metaphysical problems inherent with so called isolated sentences. We now move toward Quine to continue recognizing empiricism’s problems in his brilliant paper “Two Dogmas of Empiricism.” Although the two dogmas conceptually converge, we’ll look at only one of the dogmas, namely “…the dogma of reductionism: the [empirical] belief that each meaningful statement is equivalent to some logical construct upon terms which refer to immediate experience” (Quine 455). This dogma makes too many assumptions under close analysis. Quine has to demonstrate that science has to work with an imprecise world “…statements about the external world face the tribunal not individually but as a corporate body” (464). In short, scientific statements are made up of words, statements and ideas that are not entirely—piece by piece—verifiable. Quine puts it beautifully toward the end of the essay, when he simply states that such disciplines as physics, mathematics and logic are man-made, and “…impinge on experience only on the edges” (465). There’s too much that has to be accounted for between the language of science and the hard facts of the empirical world that would be enough to suggest the two are exact observable equivalents. The real world is not that neat. Quine believes that empirical reductionism is itself “nonsense” (465). It is the “…root of much nonsense, to speak of a linguistic component and a factual component in the truth of any individual statement” (Quine 465). Remarkably, we are reminded of Ayer’s admonition about the metaphysical as nonsense—but with Quine the nonsense is much more forgiving, since it offers empirical truth more leniencies. Plainly said, we can’t be too rigid with the way we think, and the way we do science, and by extension the way we practice philosophy, but in this case it takes the rigors of a complicated analysis to provide us with the exactitude by which to weigh the circumstances of understanding language, philosophy and science combined, as Ayer, Hempel and Quine have proven. Hempel, Carl. “Empiricist Criteria of Cognitive Significance: Problems and Changes.” The Philosophy of Language. Eds. A.P. Martinich, David Sosa. New York: Oxford University Press, 2013. pp.669-681. Print. Quine, W.V.O. “Two Dogmas of Empiricism.” Martinich and Sosa. pp. 455-468. Print.